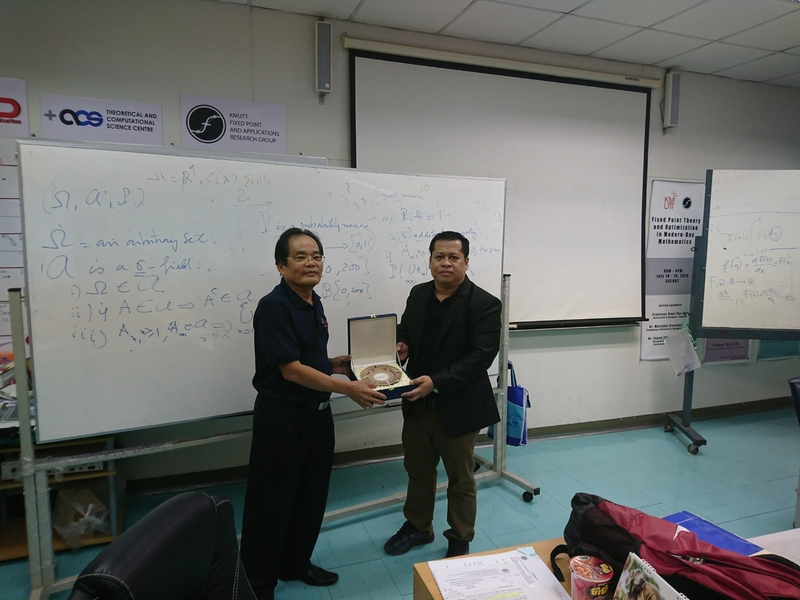 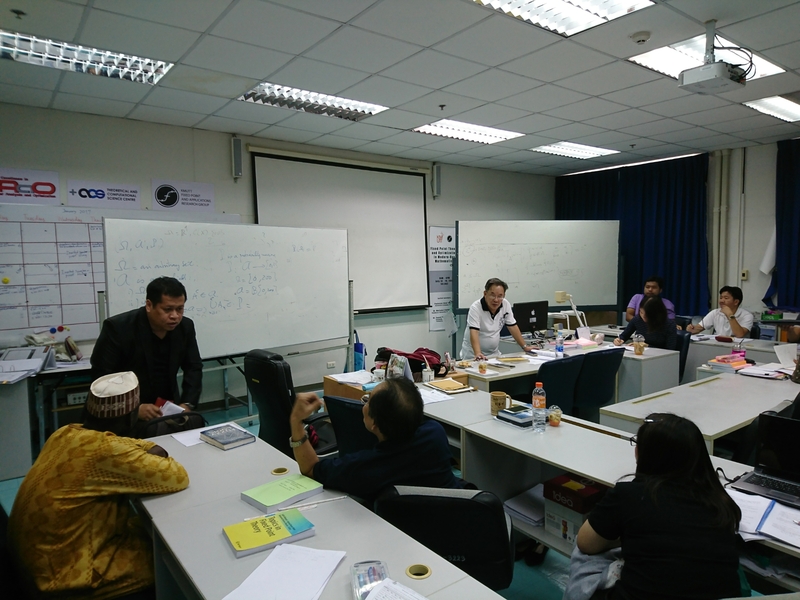 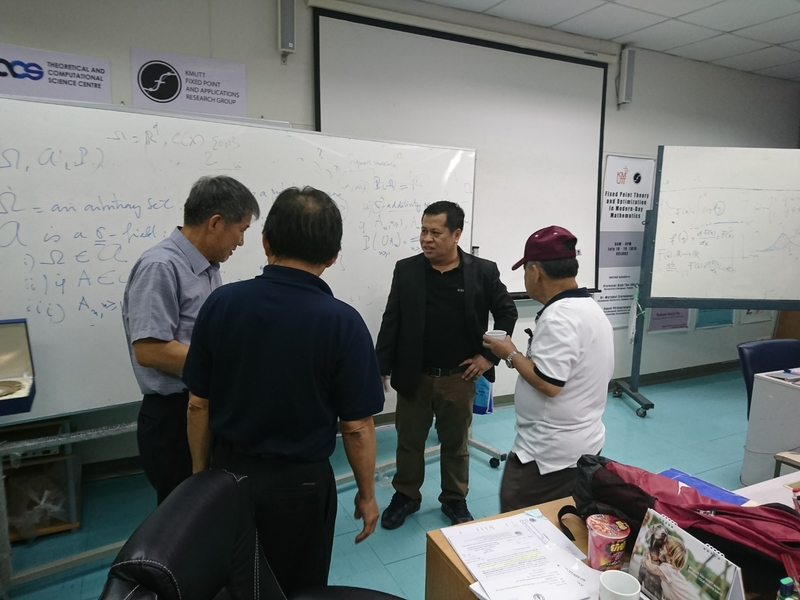 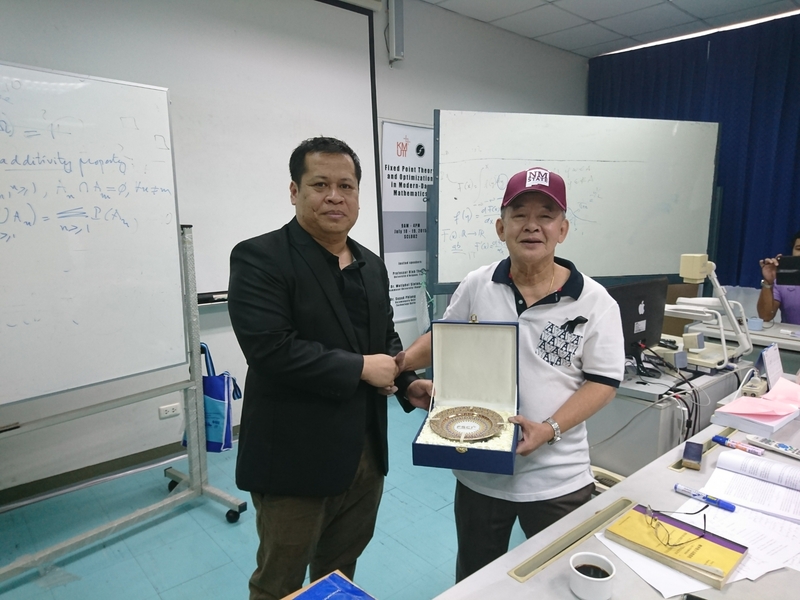 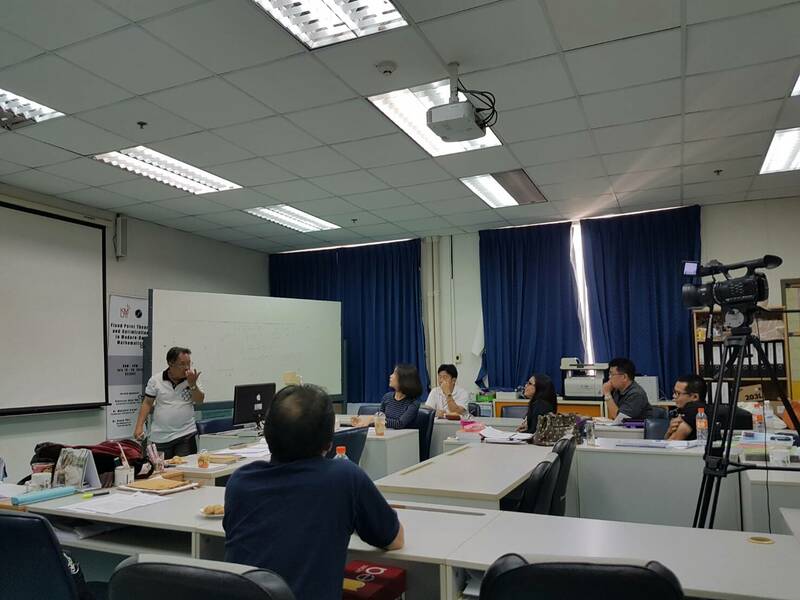 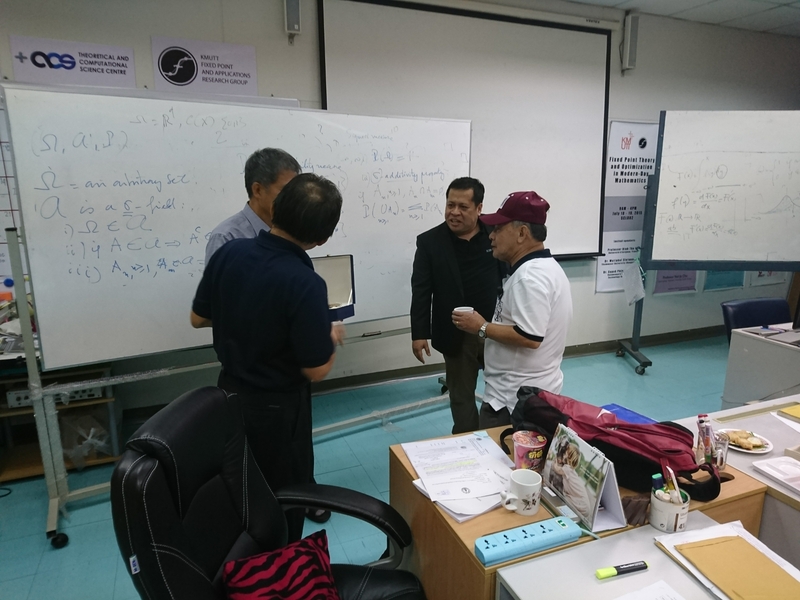 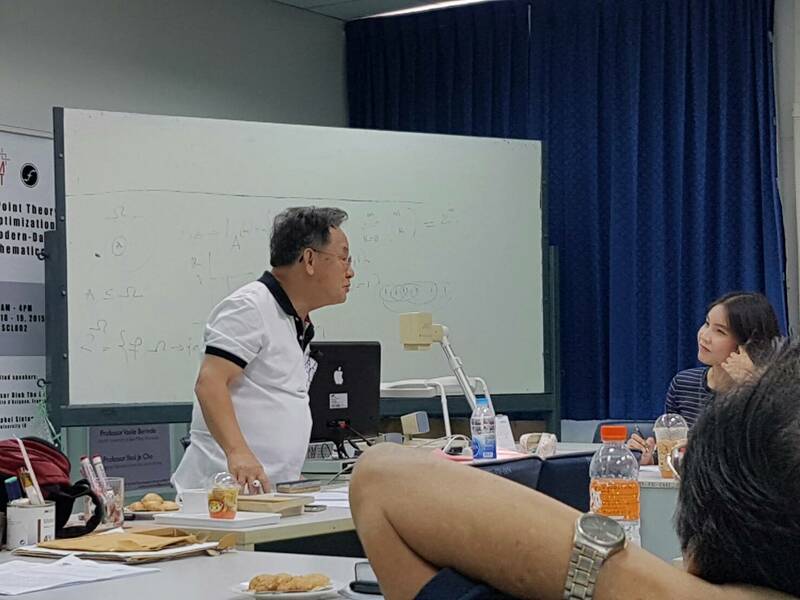 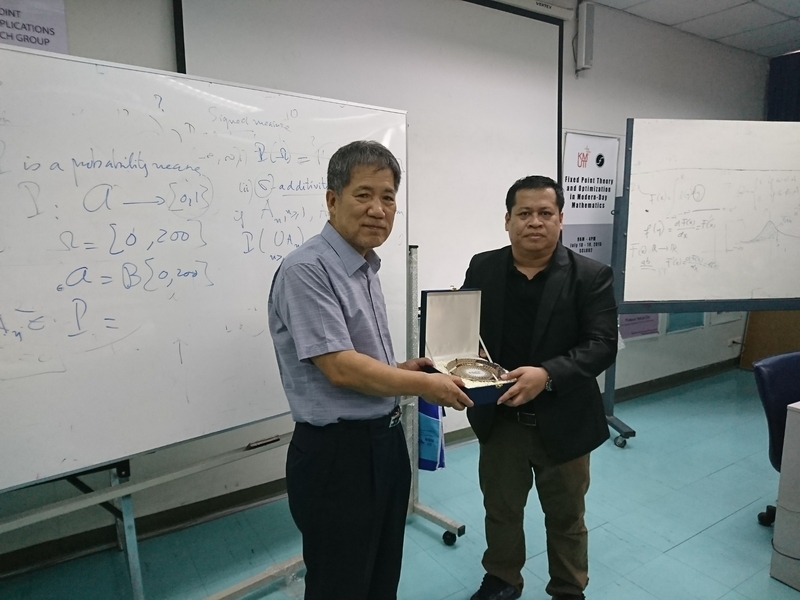 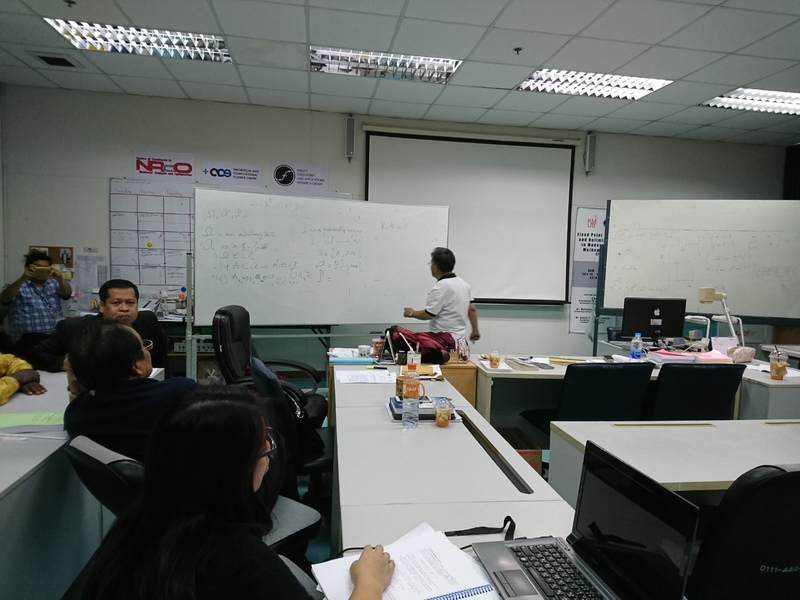 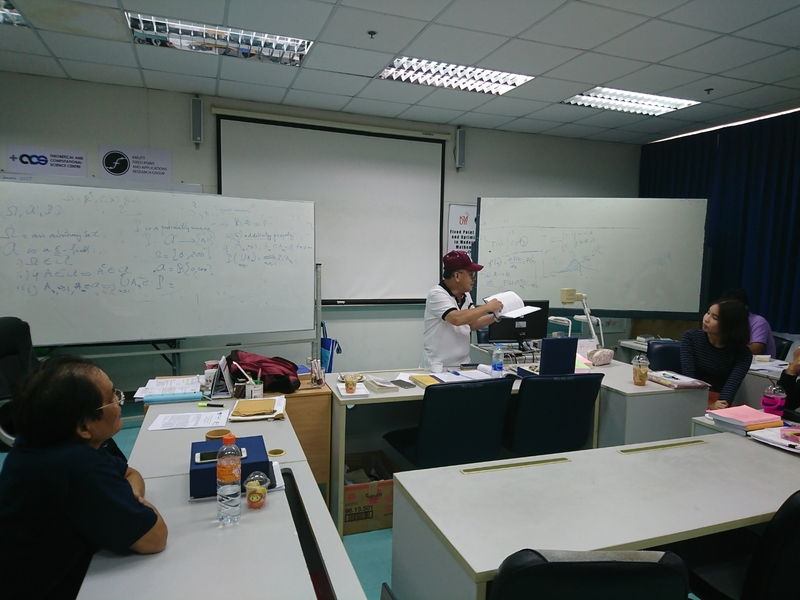 ​Research Lectures on Probability & Measure Theory by Prof.Hung T.Nguyen from New Mexico State University, New Mexico USA at SCL802 Fixed Point Laboratory, Science Laboratory Building, Faculty of Science KMUTT. 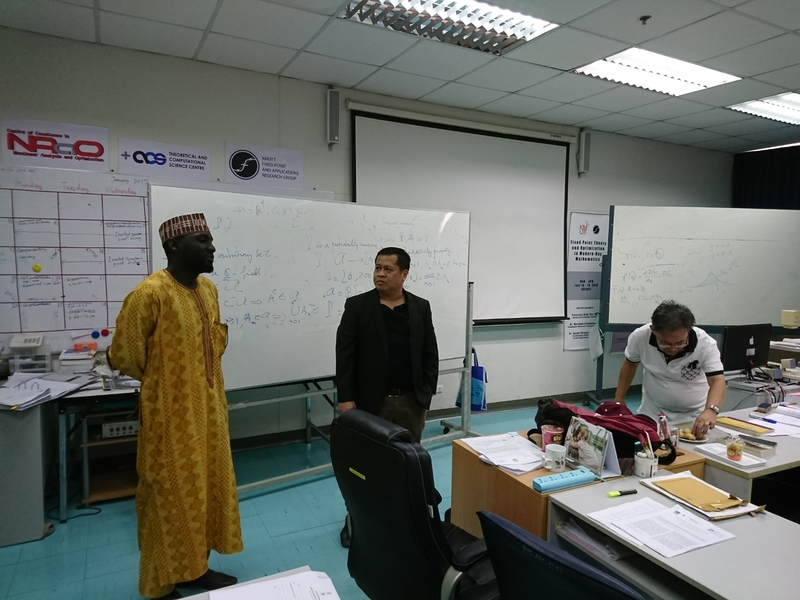 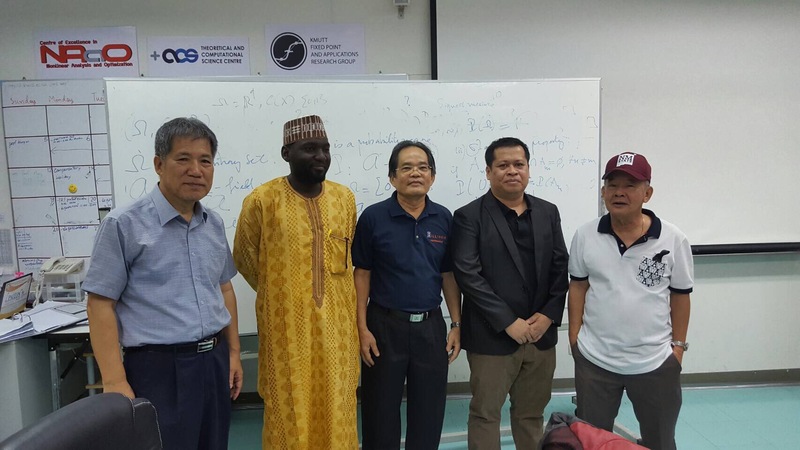 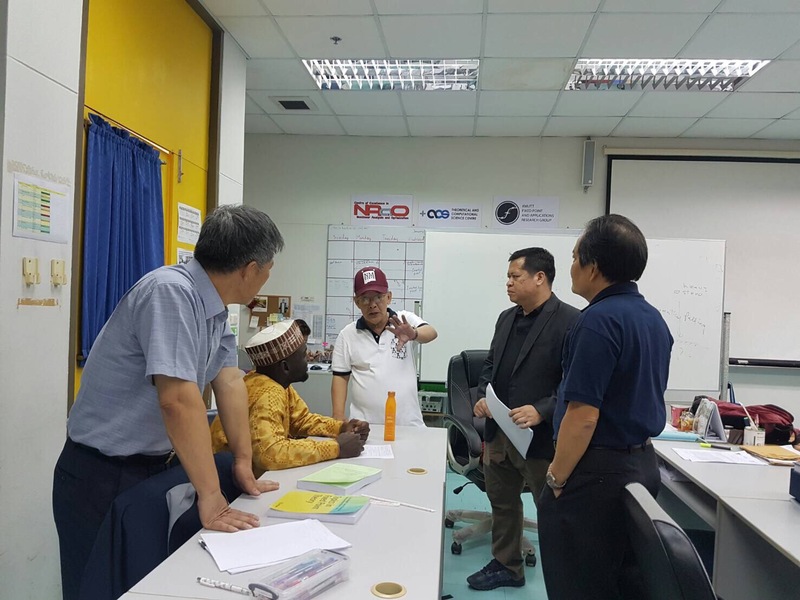 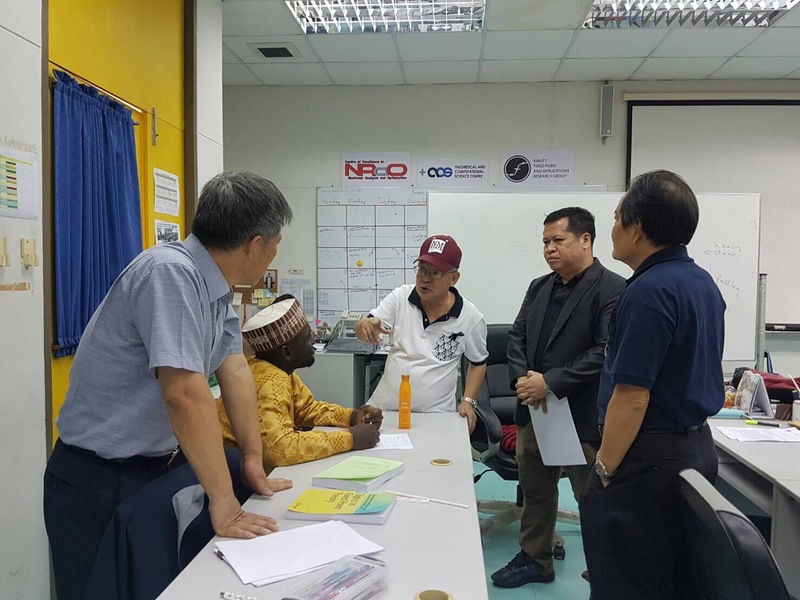 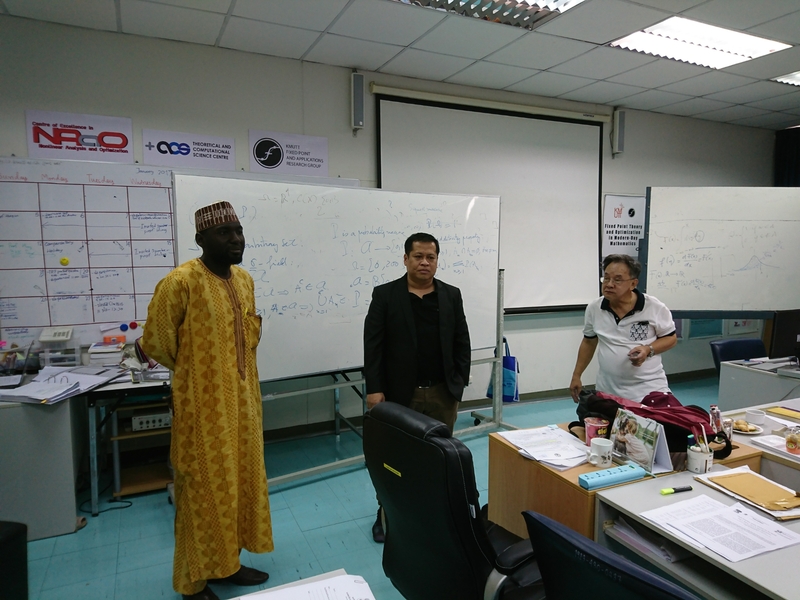 ﻿Furthermore, we are pleased to welcome new PhD student from Nigeria to KMUTT-Fixed Point Lab. 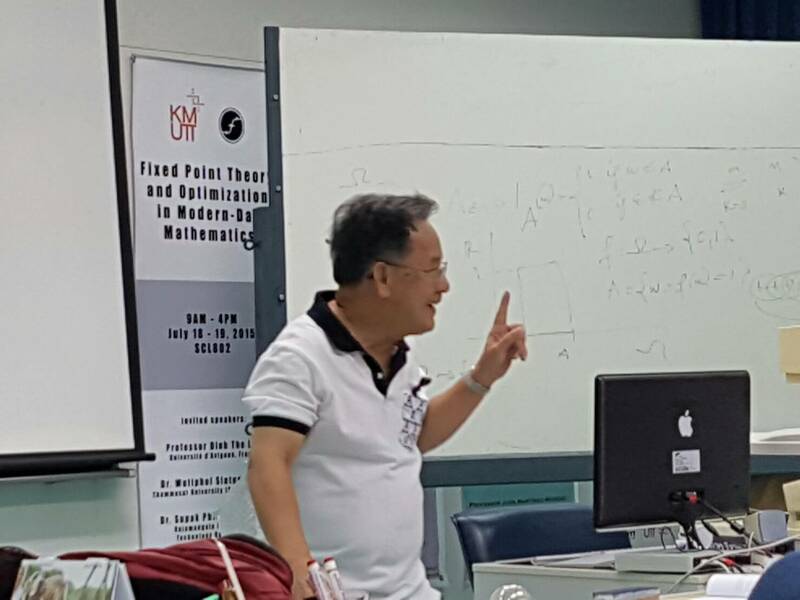 Previous Afternoon Discussions on Metric Fixed Point Theory with Applications by Professor Dr. Yeol Je Cho from GNU, Korea. 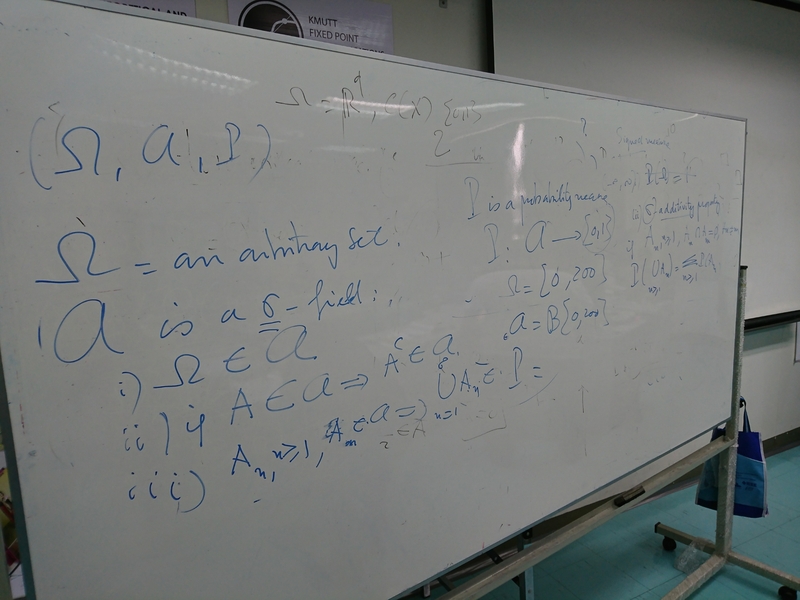 Next The 4th day Research Lectures on Fixed Point Theory for Markov Operators (+ Diffusion Models) With Applications to Economics by Prof.Hung T.Nguyen from New Mexico State University, New Mexico USA .